The Deutscher Wachtelhund is a strong boned, muscular, medium sized gundog with long, thick, wavy hair. It is solidly-built, which allows it to retrieve heavy game such as hares and foxes. The ears are fairly long and should reach from halfway up the nose to the tip of the nose. The size is approximately 18 to 22 inches. Body length, nose to base of tail is twice the height. It is slightly larger than the Springer Spaniel. The coat is short and fine on the head, and long on the body, where it is strong, thick, wavy or curly, with enough undercoat to provide protection. It is well feathered. 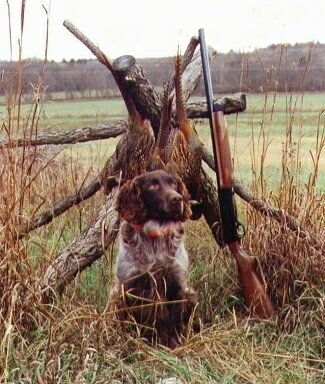 The Deutscher is an exceptional versatile gundog. 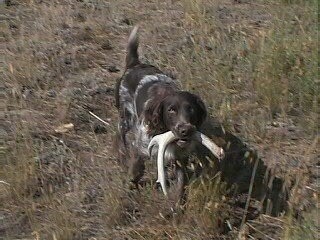 It is used to hunt upland game, will match the retrieving ability of any other breed and excels at tracking and blood trailing large game. 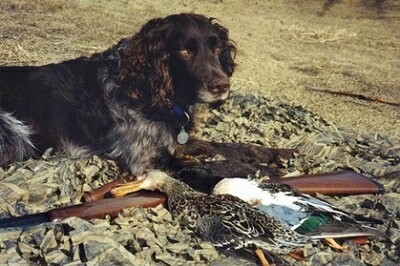 It is an all-around bird dog and will hunt all other types of game. It has a vibrant, friendly personality, it is an intelligent, aggressive hunter, and loves water work. It has the scent following ability of a Bloodhound, birdiness guaranteed. 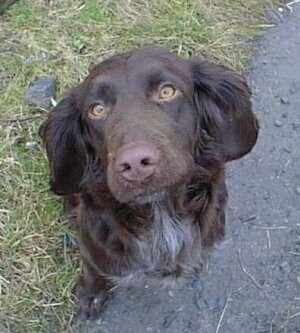 Needs a firm, but calm, confident and consistent owner who has an air of natural authority to them. Proper canine to dog communication is essential. Hip dysplasia is not normally a problem in the breed. In Germany breeders must request permission from the German Wachtelhund Club to breed their Wachtelhunds. Prior to this the Wachtelhund must have passed ten specific hunt measurement tests and the breeder must provide X-rays of the female and male, with a vet's certification that the Wachtels do not have hip dysplasia. The Germans rate hip dysplasia on a scale of 0 through 4. Three and 4's are not breedable. In the States, most breeders have had their Wachtelhunds certified by the OFA as being free of hip dysplasia. OFA rates hip excellent, good, fair and poor. Wachtelhunds with fair and poor ratings should not be bred. Buyers should request the rating from the breeder and not buy dogs coming from parents with fair to poor ratings. Crooked legs and splayed feet are a problem; again buyers should avoid buying pups from parents with these conditions. Another problem are dogs with skin conditions or allergies; they should not be bred. Wachtelhunds do best living in the house, they can be kept in a kennel but require a lot of contact with their family members. They are very loyal dogs and do best in a social atmosphere. They can live in a city, but require a lot of exercise and must be leashed when walked to avoid problems of chasing cats. The Wachtelhund has a strong hunting desire and are noted for going in for the kill. In rural locations, they can be walked off the leash, they may run into the woods, but will come back to check-in with their master. The Wachtelhund is a hunting dog are requires a good amount of exercise. 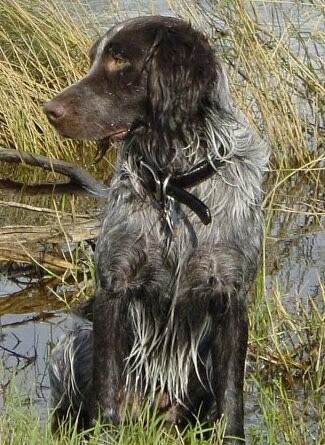 They love water and are excellent retrievers, so frequent swimming is great exercise. They will go into water right up to freezing and immediately after the ice breaks up. 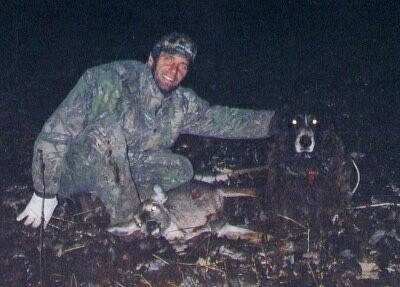 They are not the dog for an occasional hunter. On days you do not take them hunting, they need a daily, brisk, long walk or jog where the dog is made to heel beside or behind the person holding the lead, as instinct tells a dog that the leader leads the way, and that leader needs to be the human. Frequent bushing will maintain their coats in good condition. The hair between the toes needs to be trimmed frequently, especially during winter conditions with a lot of snow. Ears should be checked regularly to ensure there are no infections. Some Wachtelhunds have ears which are set high and others have the typical spaniel low-hung ears. Wachtelhunds with the low-hung ears are more prone to ear infections. Eyes should be inspected and flushed after hunting to eliminate any seeds or debris. Gundog, flusher, and retriever. In North America the AKC and UKC used to call them German Spaniels; however, the Germans do not consider them a spaniel breed and actually classify them in a separate category from the spaniels. They classify them as a stoberhund. As a result the UKC registers them as the Deutscher Wachtelhund. In North America the UKC has registered Wachtelhund since 1996.